I haven’t written much about my iPad since I created my original review of the iPad. 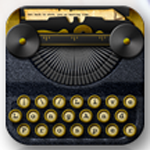 While there are many great apps available I wanted to point out one that needs to get more attention and that’s Blogsy. If you run a blog the most irritating thing you have to do is grab content from multiple different sources. Blogsy eliminates all of that irritation and allows you to just access everything inside one nice little app. Blogsy is so simple to use it is almost silly to talk about it. You’ll just get it as soon as you pick it up. If you want to get text, images or video from any of these sources you just drag that information over and drop it into your blog. Well technically you have to copy and paste text, but images and video is just dragged right onto the blog. From the browser you can also grab images and just drop them in place from any site. After you get your content you can style and resize it to fit just by clicking on it. For just $2.99 I think Blogsy is well worth the money. It may also be a good time to get it if you want it now because the creator of Blogsy is planning on increasing the price soon. I wasn’t paid to do this review by the way! What Else is on My iPad? I mainly use my iPad to answer emails, browse the internet and stream content using Air Video. I talked about Air Video in my previous video review and you should check it out also. Abby Monkey 7 Plus 2 – This taught her the alphabet and numerous other things. If you have any favorite apps I may have missed leave a comment below. Hello, I am Lance, one of the guys behind Blogsy. Thank you for writing about Blogsy. We will continue to improve Blogsy so hopefully it will one day satisfy 99.9% of the bloggers out there. You made a great app! The only thing I’d change is to allow bookmarks in the browser, which I know your looking to do. I’d also like the option to not load all of my tags. I have so many that it would be easier to just type in the new ones. Does Blogsy take care of auto capitalizatyion etc when you are typing?